The Administrative Office of the US Courts recently released reports from 2011, 2012, and 2013 about sneak and peek warrants. Unfortunately, the data from these reports reveal troublesome trends for privacy advocates. The rapid growth of the use of searches is surely alarming. If the PATRIOT Act and other security-based efforts of the federal government are meant for counter-terrorism, then we can reasonably expect nearly all these sneak and peek warrants be used against credible terrorist threats. However, when examining the purposes of these searches, we find the opposite to be true. Unfortunately, this really comes as no shock. 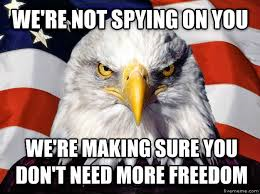 We have seen the NSA, CIA, FBI and other security agencies abuse their surveillance and law enforcement powers so trustfully granted to them in the name of safety – these sneak and peek warrants are no different. With this unchecked authority, law enforcement is able to circumvent laws that are meant to protect our lives from the government. The 4th Amendment expressly protects Americans from unreasonable search and seizure, and Supreme Court precedent creates a requirement that people have an opportunity to assert their 4th Amendment rights. Observing the actions of the federal government, their preference for big government over individual rights is clear. Amazingly, mainstream politicians across the aisle still advocate for widespread federal government surveillance powers. These reports prove exactly why Americans should be skeptical of granting broad authoritative power to government. In this case, there is little accountability for investigators who are using counterterrorism laws for most everything but counterterrorism. Surprise!